Interview with stuntman Jeb Corliss on using wearable tech to fly like a bird #WearableWednesday « Adafruit Industries – Makers, hackers, artists, designers and engineers! Interesting interview on TechRepublic with stuntman Jeb Corliss. Last week stuntman Jeb Corliss strapped on a set of wings and jumped out of an airplane. Corliss zipped across the sky, through the clouds, over the jungle, and landed safely on the Great Wall of China. 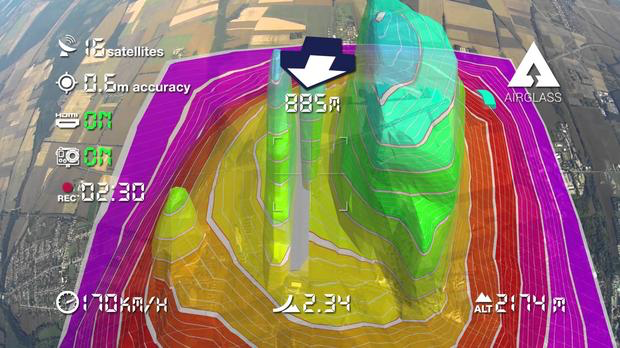 To accomplish this mission, the world-famous, death-defying wingsuit pilot trained for the Great Wall landing using a virtual reality visor to calculate altitude, velocity, flight accuracy, and other key metrics. Corliss is the quintessential gadget geek and uses a number of technologies to plan for and execute dangerous stunts. “The Great Wall project had tech unlike anything we have ever used before,” he explained in an interview deep from the Chinese jungle. After his flight, Corliss spoke with TechRepublic about how sport cameras, Internet of Things (IoT), and virtual reality assist his daring dives.